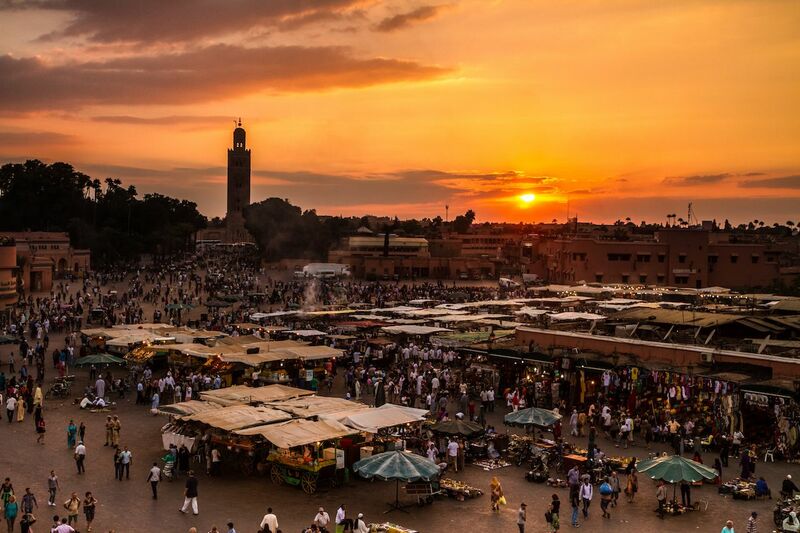 The Moroccan souk, or marketplace, is heaven for the shopaholic. Marrakech, Fez, Tangier, and every other major Moroccan city have extensive markets, usually packed within the walls of a medina, or old city, where cars are banned and foot traffic is dense. Sellers cram themselves into countless alcoves along snaking walkways. Colorful goods hang overhead, burst from every corner, overwhelm the eye. Merchants clamor for attention from passersby, especially anyone who looks foreign with money to spend. They offer attractive prices, the sellers tell you, the lowest in the medina. In reality, though, these prices are absurdly high. But price-gouging merchants offer something else: the chance to engage in the quintessential Moroccan shopping tradition of haggling. The only way to arrive at a fair price is to haggle your way down. Don’t look at this as discrimination against tourists. Embrace it not only as a challenge but also as part of the fun. In case the fast-talking sellers of the souk intimidate you, here are a few protips to help you get started. You’ll learn pretty quickly after arriving in Morocco that everything is negotiable. The fare for the taxi from the airport: negotiable. Your breakfast: negotiable. That expensive rug: negotiable. Those cheap refrigerator magnets: negotiable. Depending on how you book your room: negotiable. About the only thing that’s non-negotiable is negotiating. Never pay the asking price. As in all negotiations, start low, somewhere south of 50 percent of the asking price. Give yourself plenty of room to budge on price without straying too high. When it comes to the final amount, don’t take anything higher than 70-75 percent of the asking price. 3. Don’t be dissuaded by shows of emotion. If you ever feel like you’re haggling too hard, remember that the merchants of the souks are hardened salespeople. Sellers may feign offense, rage and sorrow, but those are crocodile tears. You’re dealing with actors of the highest order here. You’re not going to really hurt anyone’s feelings by sticking to a low price or walking away. If anything, you’ll gain respect. 4. But do be nice. Driving a hard bargain doesn’t require you to shout or swear, so play nice with your fellow hagglers. This applies when you’re walking around the souk as well. If you don’t want to stop at a store where a seller is drawing you in, don’t ignore the seller altogether. Simply say, “no thank you,” and walk on by. 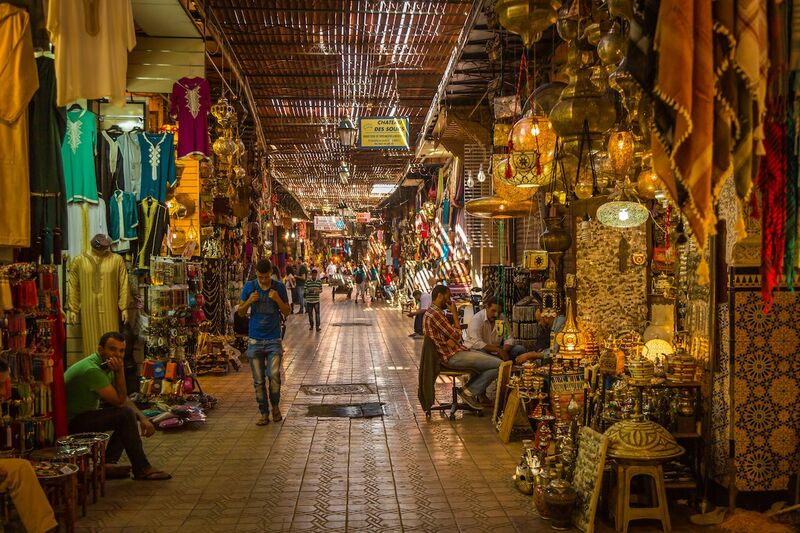 Shopping sprees in the US typically last a few hours, but in Marrakech, you’d better be prepared to spend all day, maybe all week, in the market. Even if you skip most shops and pick your battles, you’ll still end up haggling the day away with just a few sellers. Don’t rush it; let yourself drift in the flow of the medina. 6. Don’t lose your cool. This isn’t the seller’s first rodeo, and the only way to get a decent deal is to pretend like it isn’t yours either. No matter how sickly sweet or dastardly vicious the seller turns when you say no to an asking price, keep your poker face. An enigmatic buyer is a riddle that the seller will work to solve, and the only solution is your price. 7. Bundle items for a group rate. A single, eye-catching item may attract you to a shop, but as you argue down the price, it’s a good strategy to silently scan the shop for other items you favor. In a pinch, you can bundle items together and try to get a discount on the bunch. 8. Keep your eye on the prize. On the other hand, don’t let the vendor distract you with items you don’t need. Just because he’ll throw in a pair of shoes doesn’t mean you should overpay for that basket. When the seller just won’t budge far enough on the price, summon the strength to walk away. It may seem like you’ve wasted the time spent haggling, but walking away can actually lay the groundwork for future deals if you return to the same shop later in the week. One of the best tactics, if you can pull it off, is to “happen to pass by” the same shop where you left a deal hanging. The seller will know you’re serious about sticking to your price and may be more amenable to meeting a fair demand. 11. Then walk away again. If you reach a true impasse with a merchant, though, do walk away for real. There are other fish in the souk.